When Tesla Motors finally reveals its upcoming affordable electric sedan, the Model 3, at the end of next month, don’t expect to see too much. Tesla CEO Elon Musk has been hedging back on the promise of the Model 3's reveal, confirming that we’ll see “the first pictures” but probably not much else. Elon Musk, as reported by TechInsider, was asked at a Tesla event last week when we would finally see the Model 3, and he confirmed “the first pictures of the Model 3 will be end of March.” Just pictures? He continued on admitting that he was being “a little coy” and confirmed that we wouldn’t be seeing everything the new fully-electric sedan had to offer next month. The Model 3 will also not come with as many features upon release as the Model S sedan and Model X SUV in attempt to keep the price of the car around a previously suggested $35,000 before incentives, as well as make for a faster production timeline after several delays on getting Tesla’s previous products to market. Musk reassured that the Model 3 will have more available upgrades and options as production progresses, which may be software updates available wirelessly, or trim levels available after initial release. Tesla still will not lock down a solid production date for the Model 3, but it has been suggested that the new car is on track for a late-2017 start. The Tesla Model 3 has been rumored to go on sale at around $35,000 before incentives (so possibly quite a few thousand lower), have a fully-electric range of around 200 miles or more, and may eventually share a platform with a crossover vehicle tentatively titled the Model Y.
Tesla has yet to officially “announce” or show off one of its vehicles without either a concept or prototype vehicle on display, so we’ll just have to wait and see what exactly we’re getting at the end of next month when it comes to Tesla’s Model 3. 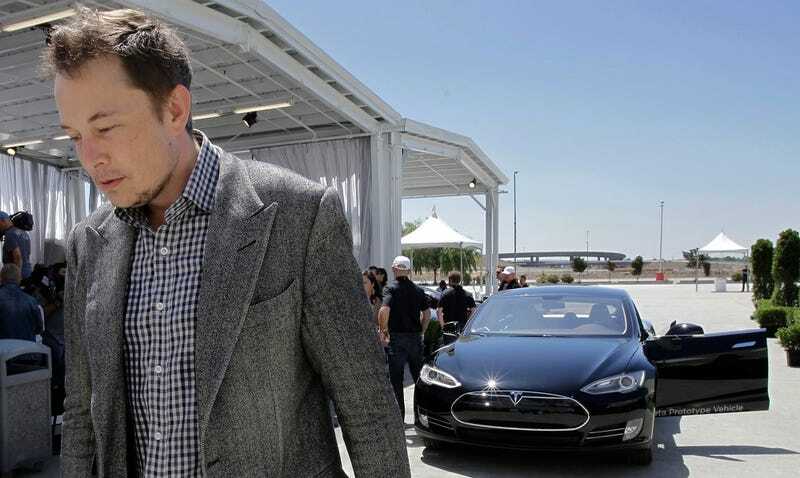 Elon Musk and Tesla Motors love playing the “maybe” game, and it hasn’t come back to hurt them just yet. Still, that sort of attitude isn’t going to last as the company tries to expand globally and reach 500,000 electric vehicle sales by the end of the decade. People won’t stay patient forever, especially as new competition enters the market.